So it's been a little longer than usual since my last blog post but I've been working hard on a few things behind the scenes which I hope you guys will get to see very soon - including some fashion posts & a complete blog makeover! Hence blog writing has been on the back burner a little. However it's that time again, better late than never, today I'm running you through a list of the items and products that I have been loving most over this last month! 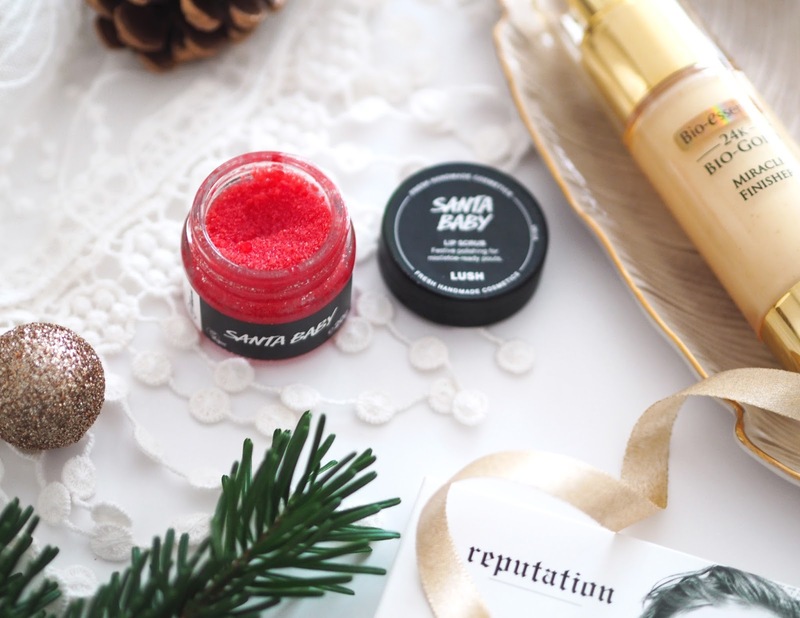 Lush Santa Baby Lip Scrub | You may have already heard the rumour I have a bit of a thing for Lush's lip scrubs! Let's face it all their products smell good enough to eat but they are the only products that you can actually taste (as well as the lip balms of course) without making yourself ill! I think I've tried almost every single one so far, I have a draw full and use one almost every day to keep my lips soft & smooth. Especially useful if you wear a lot of matte lipsticks like I do which will inevitably dry out your lips. 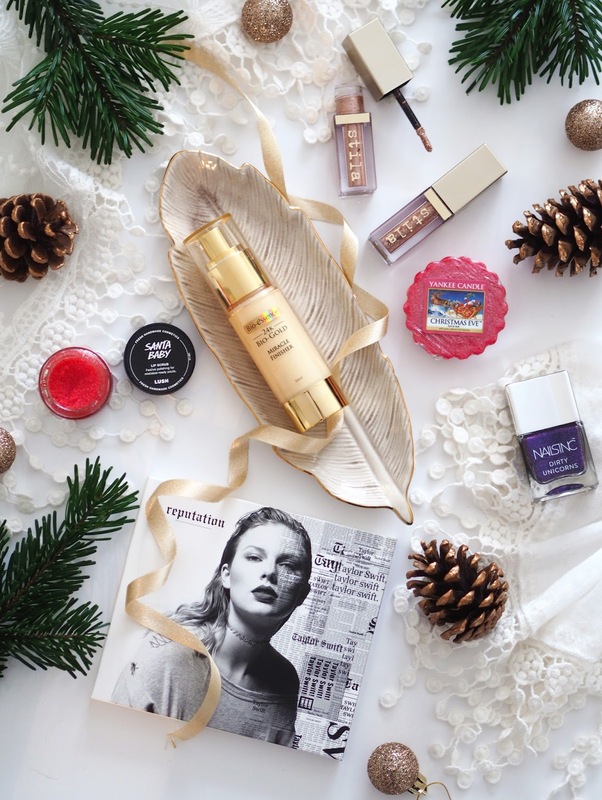 Santa Baby was a Christmas Edition (so you can't get it right now, sorry!) and both smells & tastes like a delicious bag of Cola Bottle sweets! It also has adorable little red hearts in which don't actually do anything but do look very cute. Check out all the available Lush Lip Scrubs here. Yankee Candle Christmas Eve | “Traditional holiday scents of a warm hearth, sugared plums, and candied fruits.” Not only was this the first Christmas scent I've ever burnt but I've been burning/melting this scent in the lead up to Christmas (and always on Christmas Eve & Christmas Day) for the past 6-7 years now. So that just getting a waft of the fragrance now evokes memories of all my past Christmases, which is just so lovely! When I was looking to see what the fragrance notes were in this scent, to add to my post, I was really surprised to read just what & how many notes are in it - no wonder it smells so layered and complex! Originally I just thought it was a strong red berry like cranberry with vanilla a hint of citrus and spice. Now I've read some of the notes that are included though I can really tell and it makes me love it all the more! Violet in the base and Almond in the top for instance are definitely noticeable. I hope Yankee never stop making this one as I feel quite emotionally attached to it! 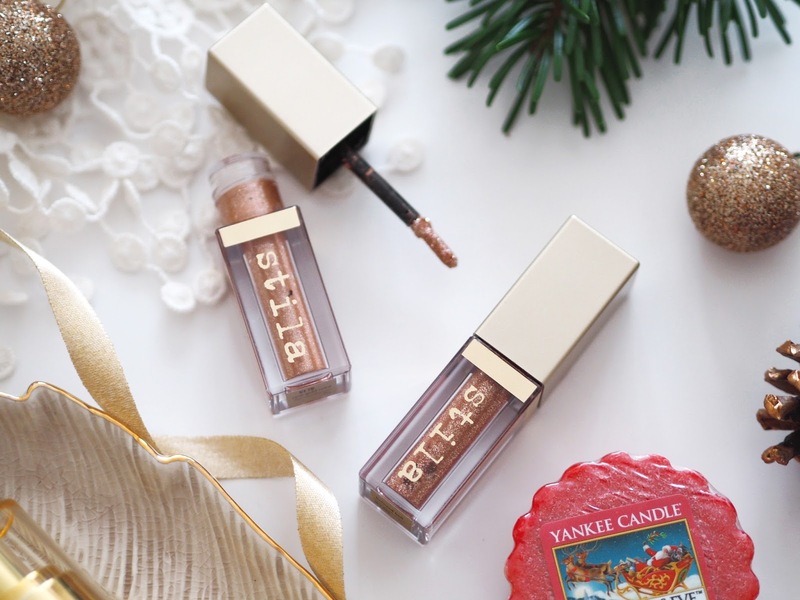 Stila Cosmetics Glitter Eye Shadow | I was wearing these every single day all over Christmas & New Year and am just obsessed with them! These are by Stila and are opaque metallics packed with glitter. They stay all day and are so eye catching, they really do pack a punch! They are a cream eye shadow that you paint onto your lid and then I just use my finger to smudge the edges outwards to blend away and harsh lines. 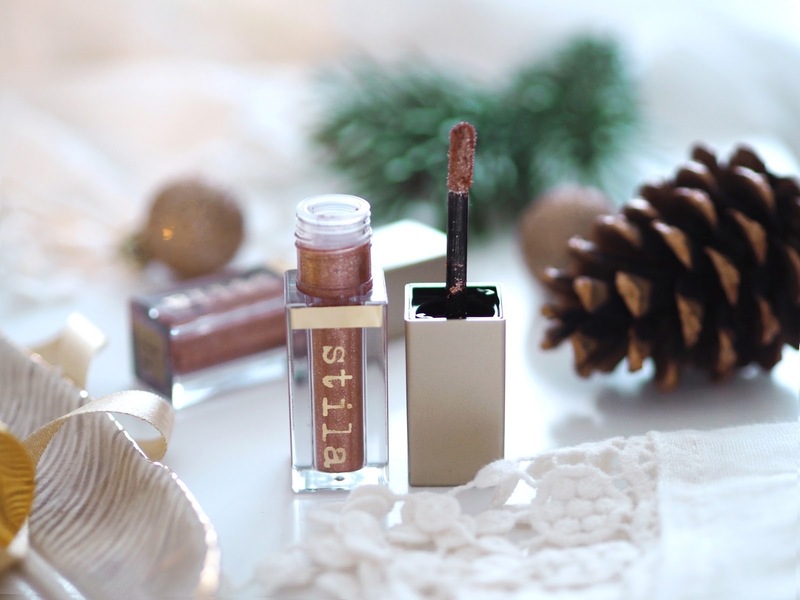 I love that it's much less messy than trying to apply loose glitter to your eyes which can be a real faff! The one I purchased originally is called Bronzed Bell, a bronze shade laced with silver & copper which is where my love of these took off. I was lucky enough to receive two more for Christmas though Rose Gold Retro, a rose gold laced with silver which is warmer & lighter than Bronzed Bell. Plus one of their new two toned additions called Sunset Cove which is a pink and gold shade. They're just so beautiful and sparkly it's like jewellery for your eyes! Definitely give one a go. You can purchase them here. 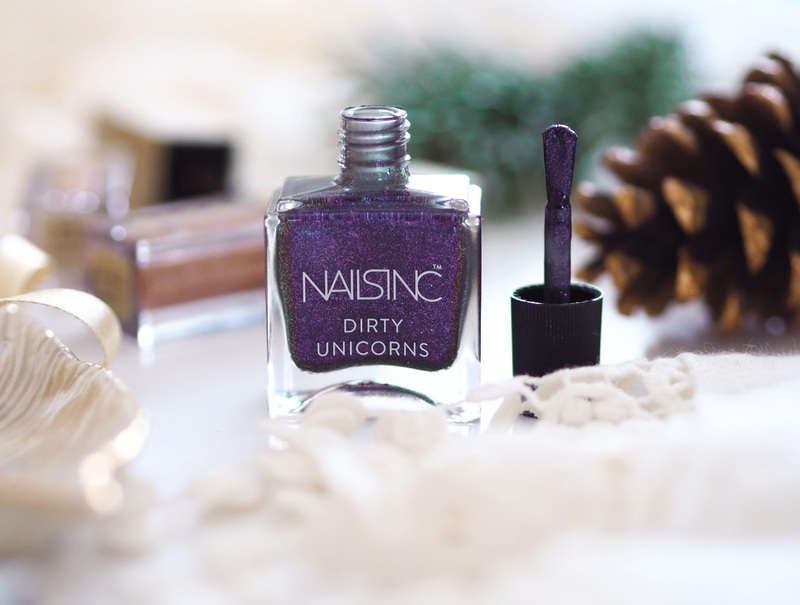 Nails Inc Dirty Unicorn Collection | You will probably remember Nails Inc's Sparkle Like A Unicorn Duo that was an uber popular sell out early last year! Well they have now unleashed the dark side of the unicorn family with their collection of 4 Dirty Unicorn polishes. "The unicorns are back and this time they're badder, braver and bolder. Anchored in a black base with deep colour flip metallic pigments, the Dirty Unicorn range is all about shade shifting multi-tone shimmers inspired by unicorns out after dark." My favourite shade is this rich purple called Hot to Trot, seriously though how magical does the colour look?! A shimmery deep purple that flips to a subtle touch of sapphire blue, it looks different as it catches the light. The names are so cute too, other shades include: The Mane Attraction, Rainbow Hooves and Shake That Tail. I'm must reiterate how much of a fan I am of Nails Inc's wide brush too, it makes it SO easy to create a neat finish! It's long lasting, remains shiny and I've had so many compliments on them and people asking me wear they can get it. You can purchase it here. 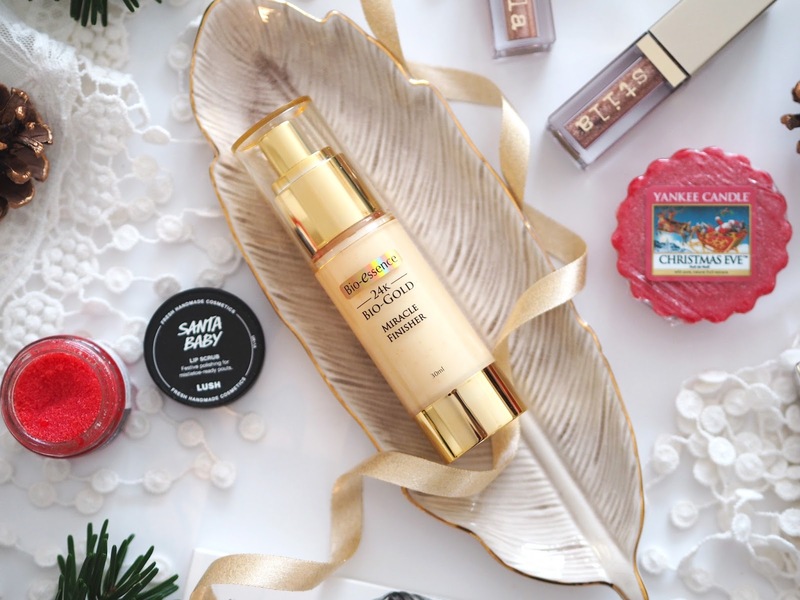 Bio Essence 24K Gold Miracle Finisher | I have been trying out this 24K Gold Miracle Finisher from Bio Essence recently and I've got to say it's really living up to its name! It's multi purpose so you can use it to seal in your skincare, shield against pollution and layer it over makeup for a flawless matte finish! However I personally love to use it as an under makeup primer and it's amazing at providing a smooth pore-less finish. I think my favourite thing about it is that the formula leaves a cashmere soft veil over my skin! I've noticed it circulating the beauty community a lot recently and everyone seems to be loving it as much as I do so definitely pick it up and try it for yourself if you can. You can purchase it here. 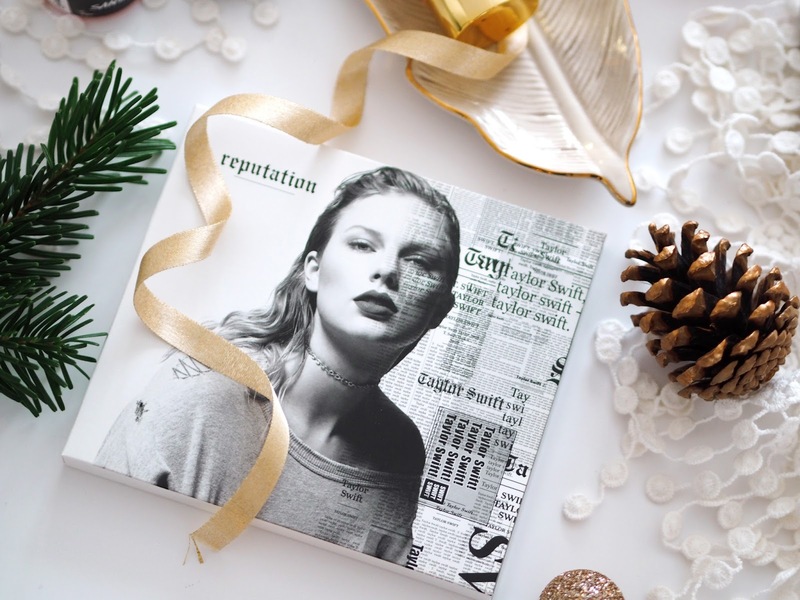 Taylor Swift Reputation Album | I make no secret of the fact that I am a massive Taylor Swift fan! She is a genius songwriter and whenever she releases a new album I can be 100% certain it will be stuck on repeat for the preceding 6 months at least! Reputation was released last November and it has totally continued that trend. I'd describe this album as having real electronic pop vibes with an upbeat feel and although most of the songs address her media reputation in some way, ultimately it is all about her finally finding true love and feeling settled. With each album she evolves her sound to make each era feel different but her songwriting style remains just as smart, inventive and powerful as ever. The more I listened to it the more I fell in love with each track, I think for some fans it took longer to get used to but I'm totally here for it! Taylor uses a vocoder in several of the tracks giving a real electronic sound to her voice. Also she is absolutely killing it with her vocals in general on this album. Along with some seriously clever production I feel it's a masterpiece and if you haven't listened to the album already go do it now! I Did Something Bad | This song actually got an out loud "OMG" from me and not just because it's the first time Taylor has sworn on a track before! Actually because it's just so dam good!! It's basically saying "bring it!". I really hope this track is released as a single because I can just see the epic music video already. Don't Blame Me | This song reminds me of Hozier's Take Me To Church in terms of sound. It's amazing and really showcases Taylor's amazing vocal range which is pretty underestimated in my opinion! "I once was poison ivy but now I'm your daisy". Delicate | I love this one because it's incredibly vulnerable both in sound and in the lyrics "my reputations never been worse so, he must like me for me". It's about the start of a new relationship where everything is very new, unsure and fragile, its delicate. There is a lot of hesitancy which is really endearing. She also uses the vocoder a lot in this one and it sounds amazing. Getaway Car | I think this track is my number 1 most listened to off the album and is definitely up there in my Top 10 Taylor Swift songs ever! She cleverly uses the term 'getaway car' as a metaphor for a rebound relationship "no nothing good starts in a getaway car" in an epic Bonnie and Clyde style tale. It sounds closest to something you would've found on her 1989 I think as well. Dancing With Our Hands Tied | Some of my favourite song lyrics off the album are in this song "I'm a mess, but I'm the mess that you wanted" "so, baby can we dance, through an avalanche?" She emotively talks about can her new relationship survive the media scrutiny and the metaphor of dancing with their hands tied is really beautiful. Call It What You Want | This one was a pre-album release and I became addicted to it! I must've listened to it about 50 times. The song as such a beautiful sound and they lyrics are dreamy "starry eyes sparking up my darkest night", "loves me like I'm brand new". New Years Day | Taylor always closes her albums in the most beautiful way and this song is stunning. An emotional piano ballad like we know and love from her "hold onto the memories they will hold onto you". The old Taylor isn't dead really. Now I have been a Swiftie ever since Fearless 2008, 10 years on I am finally getting to see her live and I can't even deal!! I've got tickets to see her on tour at Wembley Stadium in June. They have accessible areas that looked like they'd be manageable for me so although I'm a little nervous I'm super excited to give it a go and actually get to see her sing live! I know she puts on incredible tours and I'm sure she'll be trying to outdo 1989 so I can't wait to see what's created. I think I Did Something Bad and Don't Blame Me are going to be epic live too! Let me know if you got tickets to the Reputation Tour as well in the comments! 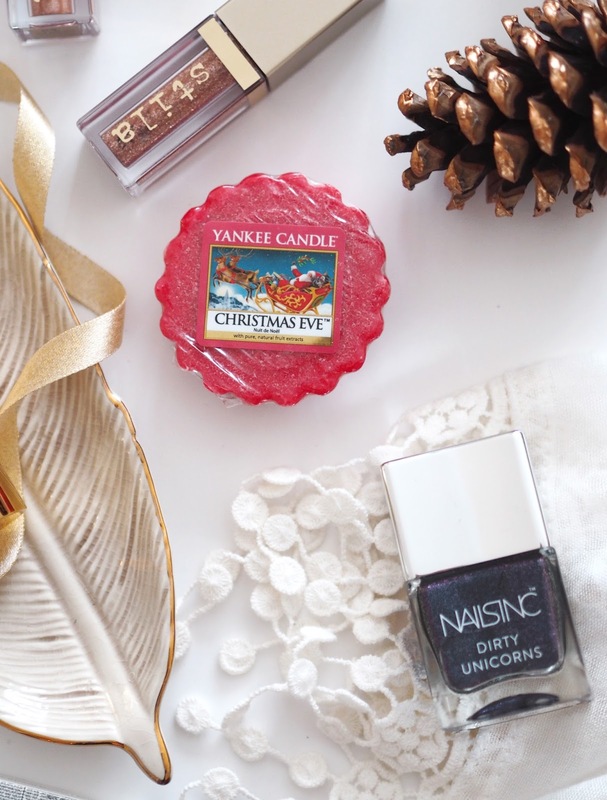 I've just been obsessed with Yankee Candle melts! They're amazing aren't they?! They give such a strong fragrance throw. My sister bought me Taylor's Album for Christmas from my niece! I love loads of the songs especially Getaway car and This is why we cant have nice things!